PROUD HOSTS… From left, Shepparton Show Me chair, Simon Quattrocchi, Shepparton Show Me committee member, Chris Reisner, Red Hill Entertainment co-director, Aiden McLaren, Red Hill Entertainment co-director, Jadden Comerford, Greater Shepparton City Council Deputy Mayor, Cr Seema Abdullah, Red Hill Entertainment event operations manager, Kat Coppins, Red Hill Entertainment co-director, Brett McLaren and Shepparton Show Me council representative, Shelley Sutton are excited to put Shepparton on the musical map. Photo: Katelyn Morse. LOVERS of live music in the region rejoice upon hearing the news that Shepparton will host a new annual music festival, commencing November 2019. 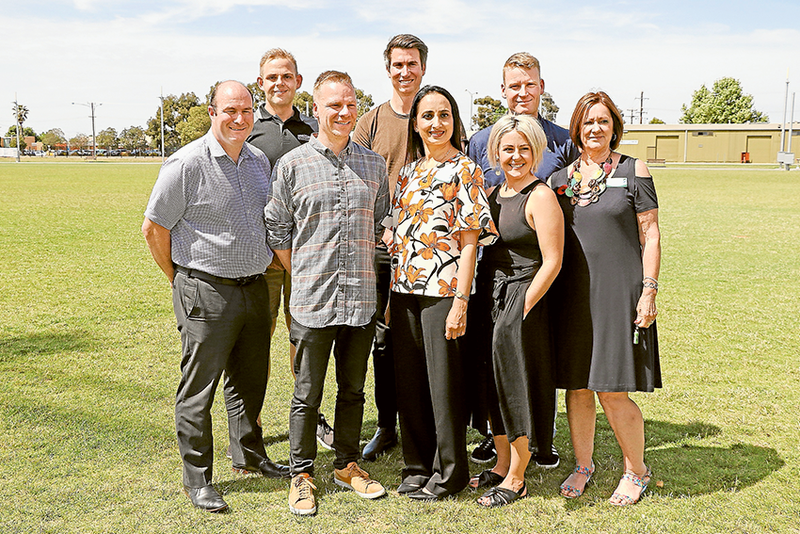 The yet-to-be-named all-ages event is presented as a partnership with Shepparton Show Me, Greater Shepparton City Council and Red Hill Entertainment and looks set to put the region on the map. 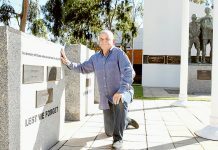 Victoria currently has a vast and internationally renowned musical landscape and the new event aims to boost the economy and culture in Greater Shepparton considerably. Organisers hope to attract 2,500 to 3,000 attendees for the first event and the line-up will feature a mixture of music in a range of genres from alternative, folk, pop, hip-hop and more. Over the last 10 years, Red Hill Entertainment has delivered more than 20 music festivals to Victoria including The Hills Are Alive, Unify Gathering and NYE On the Hill. Red Hill Entertainment co-director, Aidan McLaren said, “We are incredibly excited to establish a large-scale all-ages music event in Shepparton and we believe there is enormous potential for such an event here. A public expression of interest will be held via online survey that will call upon community members to contribute ideas and proposals regarding the development of the large-scale music event.